The body of actor Michael Showers (left) was found floating in the Mississippi River. He was 45. Michael Showers,a veteran character actor who played New Orleans police captain John Guidry on the HBO series "Treme," was found dead in the Mississippi River. He was 45 years-old. Showers' body was discovered by a steam boat captain near New Orleans' French Quarter, and the Orleans Parish coroner's officer concluded that he had been floating for roughly two days. No cause of death was indicated, but an autopsy is planned. "Michael Showers was a fine actor who contributed his talents to our drama in the warmest and most professional way," said "Treme" creator David Simon in a statement to People. Showers was a resident of Chalmette, Louisiana, not far from New Orleans. The actor had a number of small roles in a wide variety of TV series and films, including "Breaking Bad," "Traffic," "The Vampire Diaries," and "I Love You Philip Morris." The UK's Daily Mail claims Showers' girlfriend reported him missing on Tuesday when he failed to return from a night out in the French Quarter. 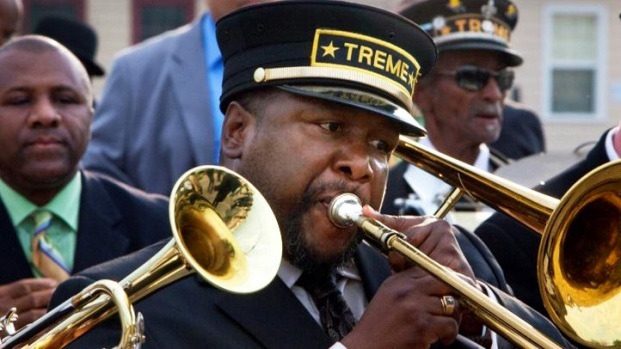 "Treme" co-star Wendell Pierce tweeted Wednesday that Showers would "be a lasting part of our New Orleans story and television history."